BusinessFirst flyers on United Airlines will get a unique collectible gift starting Friday. That's when United will introduce a special edition amenity kit featuring the airline's brand campaign, "Flyer Friendly" for long-haul international flights departing the U.S. The long-haul international flight fliers already get a kit as part of their fare. But the kits will be enclosed in a commemorative tin highlighting each of United's eight North America hubs - Chicago, Denver, Washington, D.C., Cleveland, Houston, Los Angeles, New York and San Francisco. Each customer in BusinessFirst will receive one of the eight tin designs, which feature distinctive imagery that United commissioned specifically for the brand campaign. 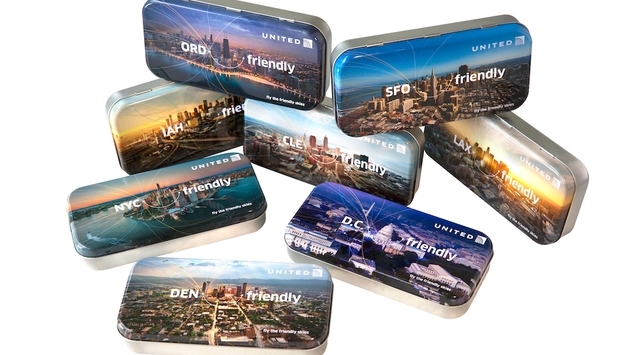 "These commemorative amenity kits showcase our hub cities and our flyer friendly network connecting customers to points around the globe," said Tom O'Toole, United's senior vice president of marketing and loyalty and president of MileagePlus. The special edition kits include the amenities of the traditional BusinessFirst kit, including Philosophy brand skin care products, and will be available until March 1, 2014 or until supplies last. 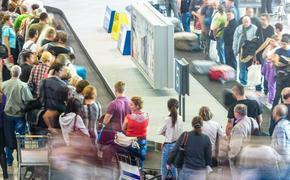 Fliers arriving in the U.S. on long-haul international flights will continue to get the traditional amenity kit.